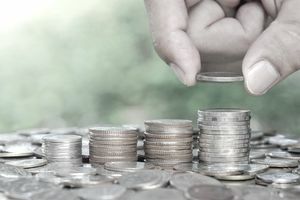 You've probably heard of the dividend investing strategy - buying shares of companies that pay good, quality dividends and sitting back to collect checks in the mail or through direct deposit to your brokerage account as you live off your passive income. Building a collection of great companies that increase their dividends at a rate equal to or substantially in excess of inflation each year. Holding onto positions for long periods of time, often decades, to take advantage of deferred taxes as it allows more capital to be working for you, which means more dividends being pumped out for your family. Diversifying across different industries and sectors so your dividend stream isn't too reliant upon a single area of the economy such as oil, banking, or mining. Making sure the dividend growth is being financed by higher levels of real underlying profit, not ever-expanding debt. Owning a collection of stocks from different countries so you collect dividends in multiple currencies to reduce reliance upon a single government. If you need a visual picture of what a good dividend growth stock looks like, look at Swiss food giant Nestle, which has increased its cash dividend over the past few decades. An investor who never bought a single extra share of stock beyond the first purchase has literally had ever-increasing sums of money bestowed upon him from his share of the coffee, tea, chocolate, frozen pizzas, ice cream, baby formula, cereal, sparkling water, and cat food sold in nearly every country on Earth. Let's take a few moments to discuss some of the more interesting aspects dividend growth investors employ. Imagine you have a choice between buying two different stocks. Which would you prefer for your own investment portfolio? Stock A has a dividend yield of 3.00%. The board of directors has historically increased the dividend by 5% per annum and the dividend payout ratio currently stands at 60%. Stock B has a dividend yield of 0.50%. The company is growing rapidly to the point that 20%+ jumps in diluted EPS have not been uncommon over the past five years. The dividend is almost always increased accordingly. The stock currently has a dividend payout ratio of 10%. If you follow the dividend growth investing strategy, you're probably going to opt for Stock B, all else equal. It may seem counter-intuitive but you will end up cashing larger aggregate dividend checks by owning it than you will Stock A, provided the growth can be maintained for a long enough stretch of time. As the earnings climb, and the dividend is increased alongside profits, your yield-on-cost starts to overtake the slower growing company. There will come a point at which the core business reaches its full potential and much of the surplus generated each year can't be intelligently reinvested. When that moment arrives, a shareholder-friendly management will return the excess money to the owners by turning on the spigots and shipping the funds out the door in the form of dividends or stock buybacks. Historically, businesses such as McDonald's and Wal-Mart provide excellent case studies. In the early years, when these firms were marching across the United States (and later, the world), the dividend yields weren't very high. However, had you bought the stock, you would have actually been collecting a fairly fat dividend yield on your cost basis within 5-8 years depending upon the period. If you'd opened the newspaper back in the 1970s or 1980s, checking only the stock quote, you'd have missed this important truth, never buying either firm because they were perpetually under-yielding (at first glance) slower-growing blue chip stocks. Which situation would allow you to sleep better at night: owning a company that might pay you a smaller dividend today but is enjoying higher sales and profits each passing year or a company that pays you a large dividend today and is seeing a slow, perhaps substantial, decline in its core business? If you feel there is a degree of added protection in the successful enterprise, you might want to consider this investing strategy. There is some wisdom in this approach. In the United States especially, the board of directors is unlikely to raise the dividend if they believe they are going to have to turn around and cut it. Thus, an increased dividend rate on a per share basis often represents a vote of confidence from the people who have some of the closest access to the income statement and balance sheet. It's not foolproof - even successful men and women who are qualified enough to get elected to such a prestigious position are not immune to self-deception when it suits their own interest - but it's a decent indicator more often than not. Imagine Hershey increases steadily to $62 per share. Now, your trailing stop order has automatically kept pace and will convert to a market order at a $60 sale price ($62 current stock price - $2 trailing stop value = $60 per share sale price). This should provide a capital gain of $10 per share unless there is some sort of dislocation event or sudden decline in bidding (e.g., a stock can go directly from $62 per share to $40 per share without ever crossing $60 under the right circumstances; a fact lost on many new investors). Dividend stocks have a unique advantage in that the dividend yield creates a soft floor under the shares. While it is not as absolute as a trailing stop, as long as the dividend is considered safe - that is, there is little to no chance the board will have to cut or reduce it - there is a point at which the dividend yield becomes so enticing relative to what can be earned on bank deposits, money markets, or bonds, that investors tend to enter the market and take advantage of the lucrative payouts, halting the decline. For example, if you were an energy analyst and you knew the odds of an oil giant cutting its dividend were very, very low, yet the stock kept falling to the point the dividend was yielding 8% in a world of near 0% interest rates, it's highly unlikely you, and people like you, are going to sit back and let the shares fall to the point they'd be yielding 20%. Long before that point is reached, you, your clients, your employer, your family, and everyone around you who understands the economics is going to reach for the checkbook and start buying. Even though the recent dividend tax hikes have hit some income investors hard, raising the top effective dividend tax rate at the Federal level from 15% to 23.8%, passive income generated from dividend growth stocks results in far more money staying in your pocket than many comparable investment assets. This is especially true when in an ordinary interest rate environment where rates on savings products are attractive; e.g., compare the historical after-tax income for every $1 in income from dividend growth stocks to $1 in income from corporate bonds, certificates of deposit, money market accounts, money market funds, savings accounts, checking accounts, profits from selling gold, silver, other commodities, or collectibles, pension income, etc. Just as importantly, shares of stock held in ordinary, taxable brokerage accounts enjoy a stepped-up cost basis when you die and leave them to your heirs. That means if you bought $10,000 worth of Starbucks at its IPO and watched it go to $750,000+, when you pass away, not only are your children going to get the inheritance tax-free (provided you are under the estate tax limits), the Federal and State governments will allow them to pretend like they paid $750,000 for it. That means if they sold it for $750,000 today, they'd owe no capital gains taxes.